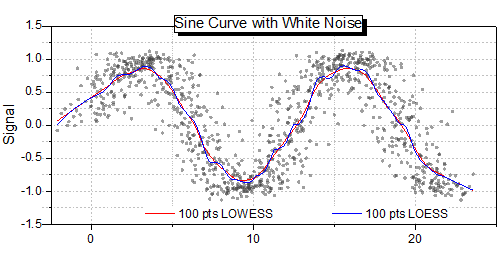 The graph displays smoothing results using LOESS or LOWESS methods.The name Lowess and Loess is the abbreviation for locally weighted scatter plot smoothing. It is best used when there are a large number of data points. 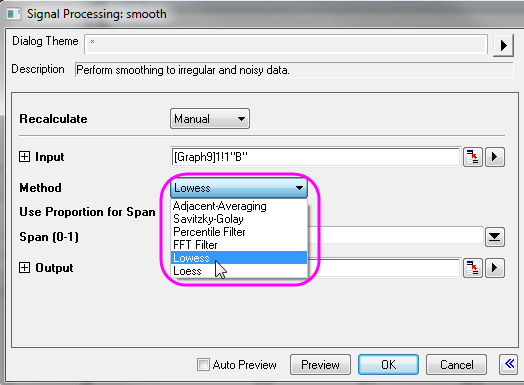 To apply LOESS or LOWESS smoothing prcessing to a certain scatter plot, click Analysis: Signal Processing: Smooth to bring out the Smooth dialog.